When you’re locked and loaded in the driver’s seat of the car before taking off on a road trip, you’ve probably made sure to pack snacks, drinks and activities for everyone in the vehicle. 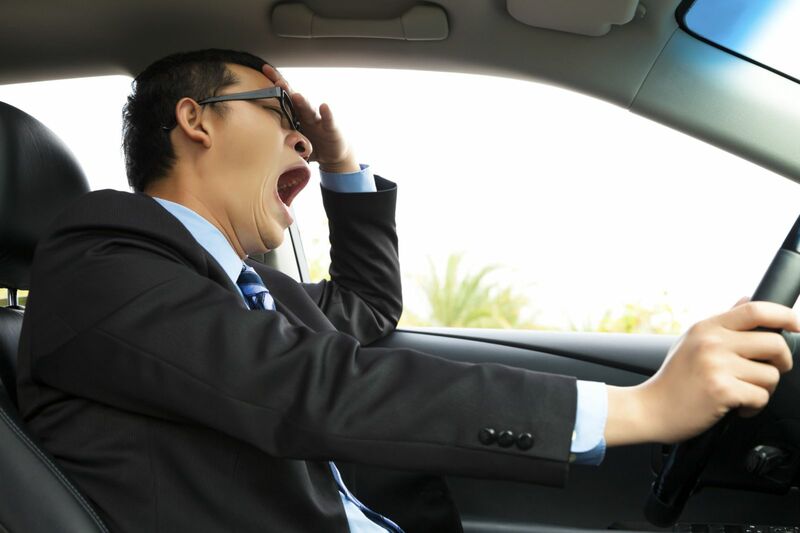 But, to help ensure that your trip stays safe for you and your passengers, it’s also important to pay attention to the following tips to help prevent drowsy driving from taking over the wheel. Music can be a great tool for helping keep you alert and awake while in the car. If you find yourself getting tired while driving, turn up the tunes and join in with singing the lyrics to awaken your mind and your musical soul. As miles pass by and the scenery starts to look all the same, it can be easy to let your mind wander and your attention to become sidetracked. If you’re traveling with companions, you can keep drowsy driving at bay if you engage in conversation throughout the trip. Or, if traveling alone, make sure to pack some audio books and podcasts to keep your mind engaged during the trip. Sitting in the car for long periods of time can eventually become uncomfortable and stressful to your body’s muscles. To help keep your body in tune as you rack up miles on your vehicle, it’s important to focus on using correct posture while driving by keeping your core tight, shoulders pulled up and back, and arms/elbows loose. And, when you make pit stops along the way, Elements Massage suggests using some basic massage techniques to loosen knots and tension that may build up in your body from being immobile for extended periods of time. Simply applying light pressure and rubbing your sore muscles in a kneading manner can help relieve muscle tension and stress, increase awareness, and ultimately keep drowsy driving from creeping up during your trip. In an effort to increase awareness of the risks associated with drowsy driving and to help reduce the number of fatigue-related crashes on our nation’s highways and roads, the National Sleep Foundation has established Drowsy Driving Prevention Week® this year on Nov. 2-9. To help make your next trip safer for you, your passengers and others who share the road, Elements Massage suggests implementing these simple tips on your next road trip. And, after you return from your next adventure, make sure to visit your local Elements Massage studio to revive and rejuvenate your tired muscles and mind.